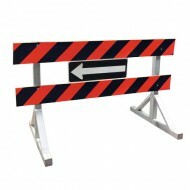 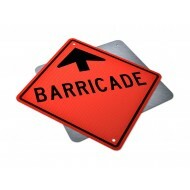 Urban barricade is perfect for municipalities and private property construction projects/work zones. 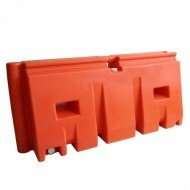 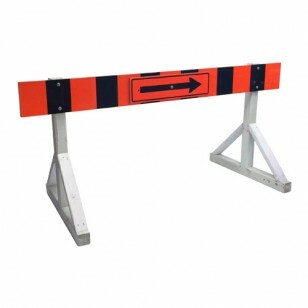 Barricade ships flat and includes 2 pre-built legs, directional arrow, hardware bolting kits and 1 barricade panel (8-ft) which is manufactured using 3M Diamond Grade (DG3) Fluorescent Work Zone Orange sheeting. 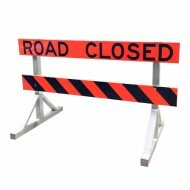 Purpose: This "Barricade" sign with arrow lets motorists know that traffic will be s..
'Road Closed' barricade meets Alberta Transportation specifications for use on Alberta provincial..
'Bridge Out' barricade meets Alberta Transportation specifications for use on Alberta provincial ..
Highway barricade meets Alberta Transportation specifications for use on Alberta provincial highw.. 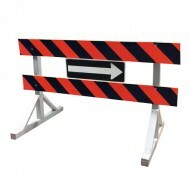 Barrier can be filled with water for a total estimated weight of 1600lbs (160lbs empty). 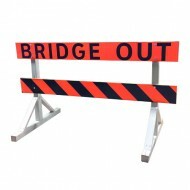 Water fi..